How much could a 103-year-old cracker be worth? A cracker that survived the sinking of the Titanic is to be auctioned this month, and is likely to be proven the most valuable cracker on the planet. 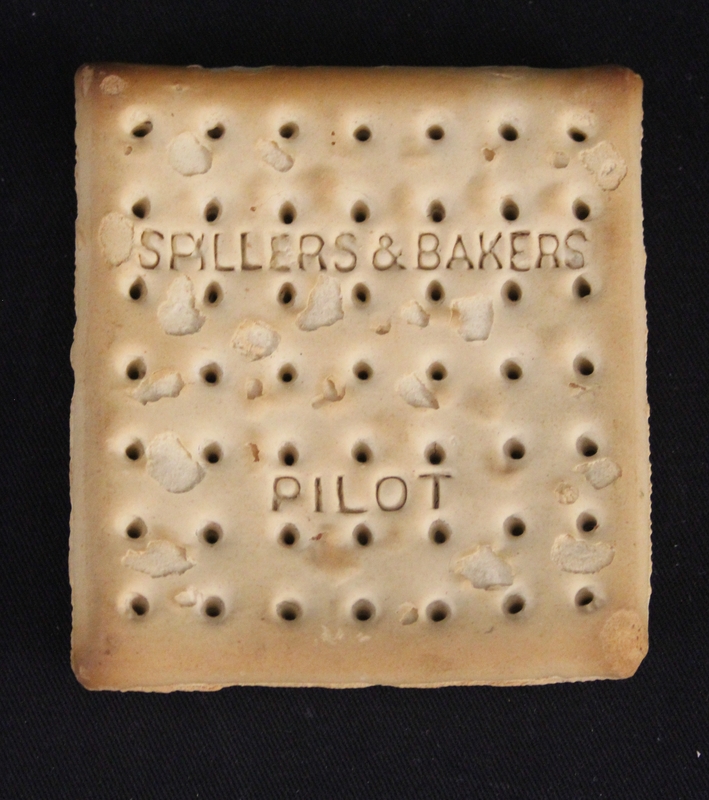 The single "Spillers and Bakers Pilot" biscuit, as the British call the snack items, is a plain cracker made from flour and water which was discovered in one of the survival kits of a Titanic lifeboat. Henry Aldridge and Sons auction house will put the biscuit on the block on October 24 in Devizes, England, along with a photographic archive considered the definitive collection of images from the Titanic rescue mission. The Fenwick archive is named after newlyweds James and Mabel Fenwick who were on board the SS Carpathia for their honeymoon. Four days later the Carpathia was crucial to the rescue of more than 700 survivors from the ill-fated liner. Capturing the events that unfolded, the Fenwick's collection provides a unique record of the rescue mission. Mr. Fenwick also saved the "Pilot" biscuit by placing it in a Kodak photographic envelope with a personal note "Pilot biscuit from Titanic lifeboat April 1912." The auctioneers expect the biscuit to sell for more than $1,200. The Titanic went down on its maiden voyage from Southampton to New York after crashing into an iceberg on April 14, 1912. Henry Aldridge and Sons are considered the leading auctioneers of Titanic memorabilia and the sale, entitled: "Titanic, Hindenburg and Icons of the 20th Century 'Fire and Ice', will also feature a rare Titanic lifeboat cup and items recovered from the site of the Hindenburg airship disaster. Also included in the collection is an unpublished account documenting the rescue of Titanic survivors. The Fenwicks documented the events in a journal they had bought to commemorate their honeymoon voyage on the SS Carpathia. "5am. Awakened by hearing man's voice "Titanic gone down. We are rescuing passengers and are surrounded by icebergs. This is time to be up and doing. Going on deck we found boats at our side crowded with those rescued plus other boats coming from all quarters, just beyond and on all sides of us... were the 'bergs". Took up about 700 from 19 boats, 14 of which were put on Carpathia decks and 5 were set adrift. The scenes pictured were long to be remembered. At 4pm. Carpathia stops flags at half mast and buried at sea the bodies of 4 men who had died from exposure. The scene at Carpathia as the day wore on was one of tragedy. Women without husbands and children without parents."